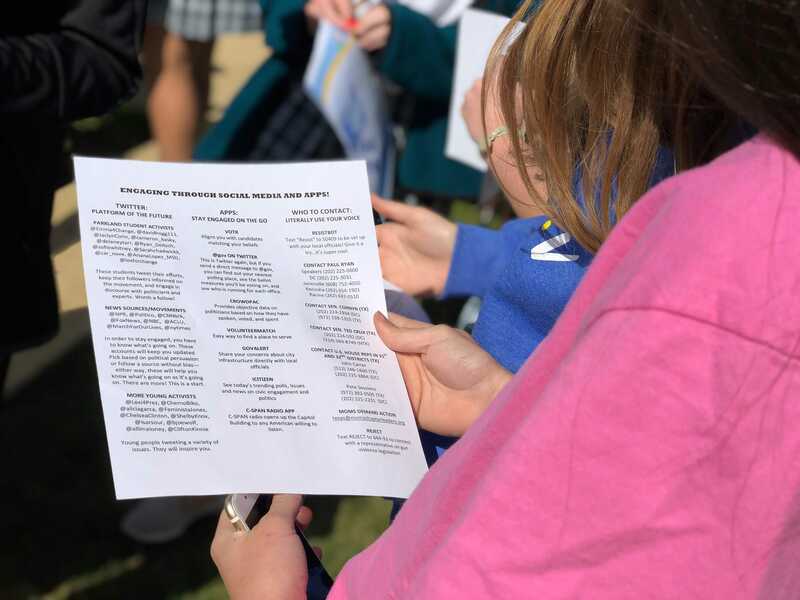 At 10 a.m. on April 20 – the 19th anniversary of the Columbine High School massacre – Upper School students and faculty left their usual classes and gathered outside at the Margaret Doggett Crow Amphitheater for Hockaday’s first Call to Action event. 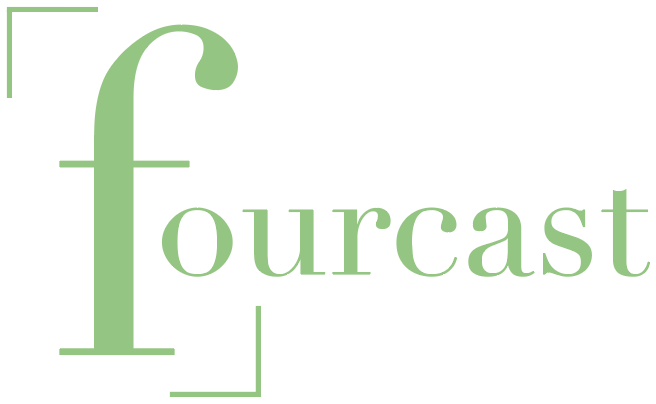 Call to Action is an initiative created by a group of seven Hockaday seniors in order to give their peers a means of expression in light of recent tragic events such as the Feb. 14 shooting at Marjory Stoneman Douglas High School in Parkland, Florida. Senior Anden Suárez was one of the seniors who organized Call to Action. Both Coleman and Suárez agreed that this was just a first step, and Suárez, excited, then followed up the next week. Suárez organized a group of seniors including Quinn Brodsky, Maye McPhail, Lauren Puplampu, Cheryl Hao, Aurelia Han and Safa Michigan. Together, Tuesday, Feb. 27, these seniors met again with Coleman, Assistant Head of School Blair Lowry, Head of Upper School Terry Murray, Assistant Head of Upper School Joni Palmer and Director of Service Learning Laura Day. 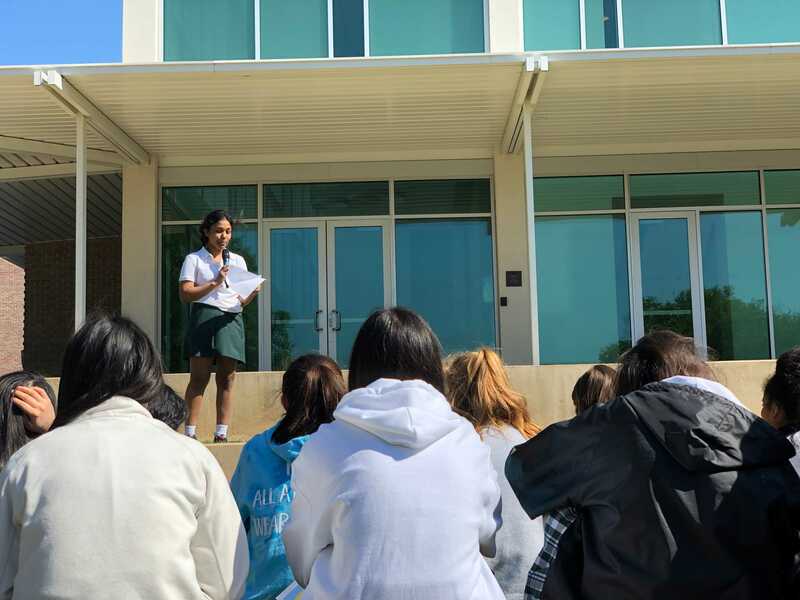 First, the students planned the 17 Minutes of Silence event for March 23 in honor of the 17 victims of the Parkland shooting. According to Brodsky, the silence was meant to give students time for deep reflection. Then, students and administrators looked forward to planning Call to Action, which took place this morning. 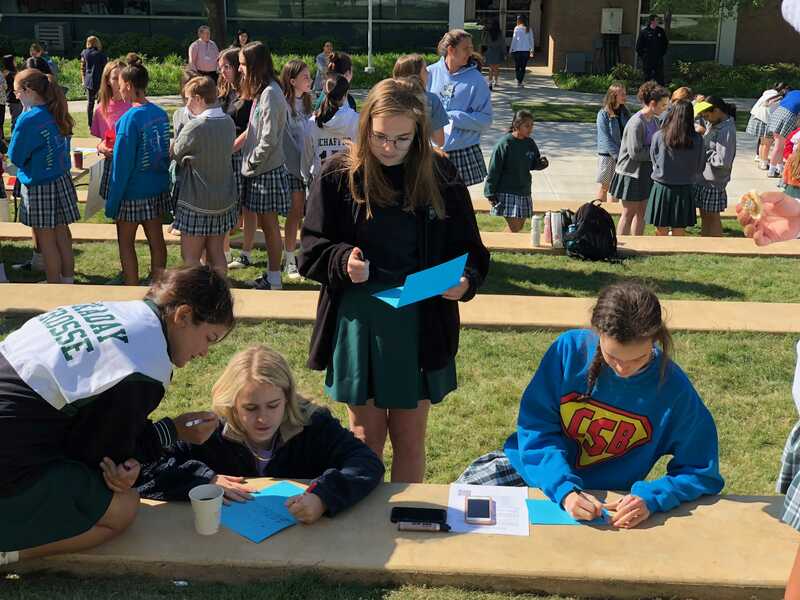 Thus, this morning, the Upper School followed an adjusted schedule and congregated at the Amphitheater at 10 a.m. for Call to Action. The event started off with some words from Suárez and Michigan, and then participants were free to explore the various booths set up around the room. Representatives from the Young Democrats, the Young Republicans, the Community Service Board, the Black Student Union, the Student Diversity Board, the Boarding Department, The Fourcast and more held booths where students could learn about ways to express their voices in their community. 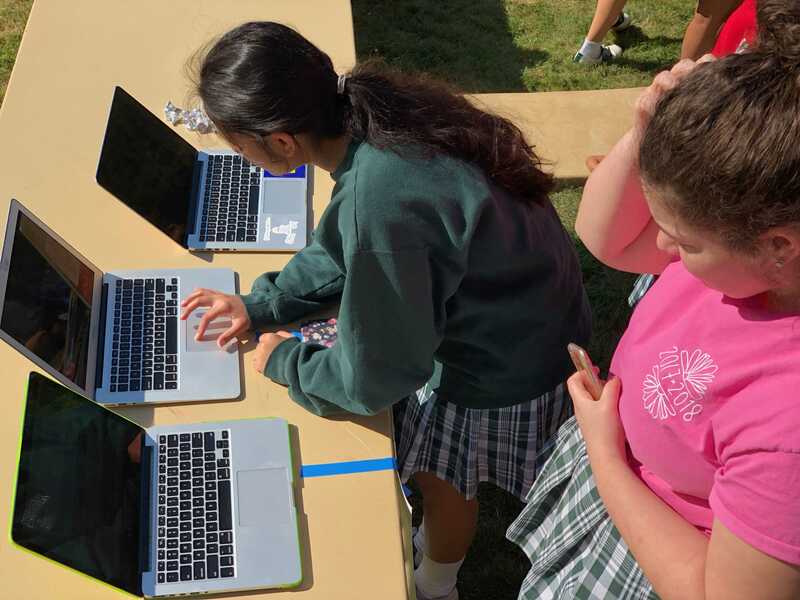 Activities for participants included registering to vote, writing letters to government representatives, engaging in service opportunities, playing games to learn about fake news, signing petitions and watching a memorial performance by Hockadance. Brodsky especially appreciated the international students’ table, as she noticed that people who approached the table were incredibly respectful to the international students but also asked questions that engaged everyone in deep conversations, which was the goal of that table. 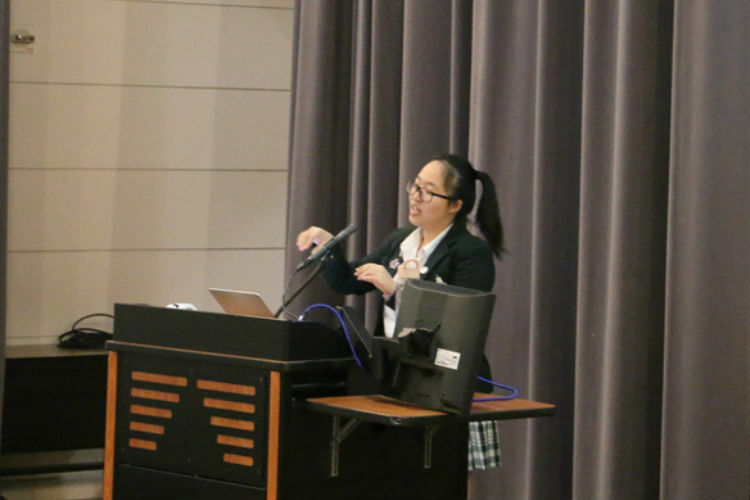 “I think it’s so important to keep the conversation global so that we don’t think our responses to recent political events are dependent on our location – these feelings are spread throughout the human race among all races, nationalities, religions, etc. and that is very comforting to me,” Brodsky said. According to McPhail, one of the team’s major priorities was to make sure that there was something for everyone. 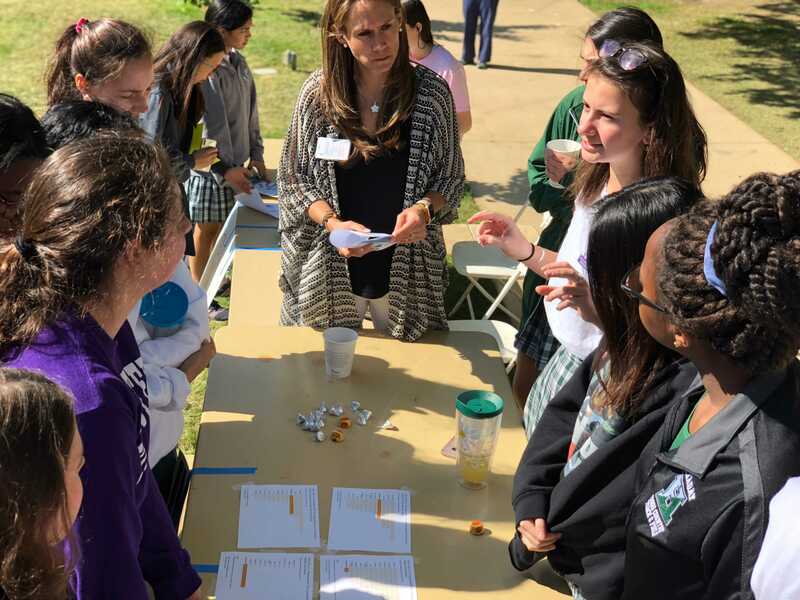 Another purpose of Call to Action was focus on well-being within the Hockaday community. Day read about an initiative that took place at another school and decided to incorporate it into today’s event. She along with Palmer counted out stacks of 17 sticky notes each with positive messages written on them. 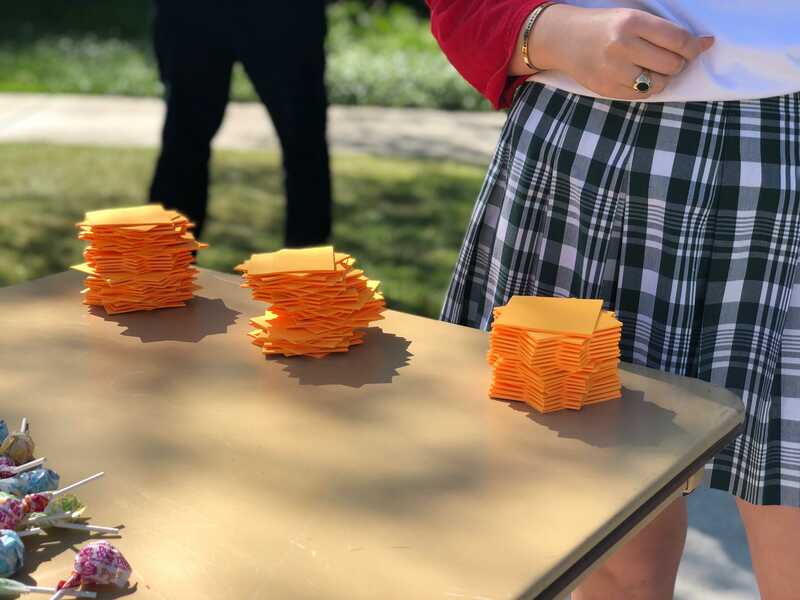 As people were leaving today, the event organizers handed out these stacks, allowing students to go out and cover lockers and the whole Upper School with these positive notes. For McPhail, Call to Action was a way to lift her own voice for a cause important to her. Suárez agreed and is proud that the Hockaday community united for this event. Senior Safa Michigan speaks about the power of the youth. Senior Zasca Ristianto signs a petition. Juniors write letters to congressmen. A student reads the flier given out at the “Social Media” table. Students and staff listen closely about how international students can get involved in American politics. 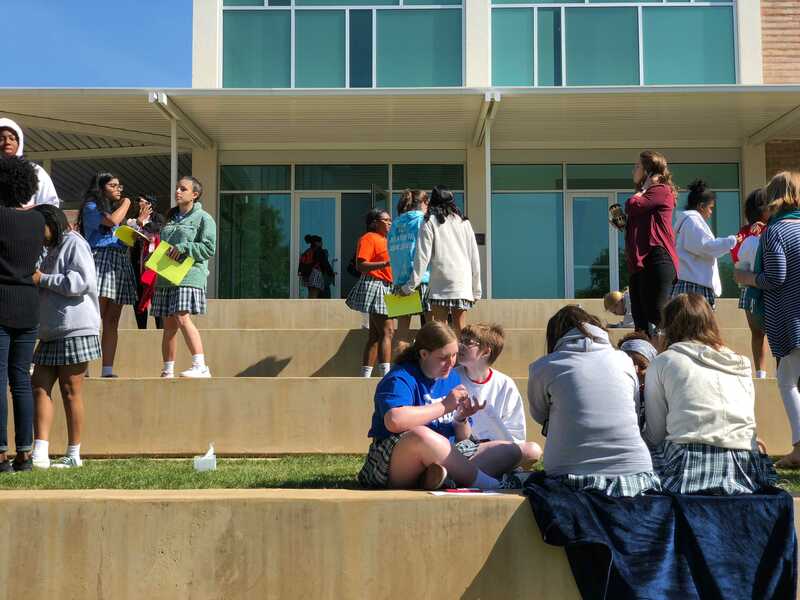 Students gather on the Margaret Doggett Crow Amphitheater during the walk out. As students left, they were encouraged to pick up 17 sticky notes each so they could write nice notes on them. The notes were later put on the lockers of their peers. 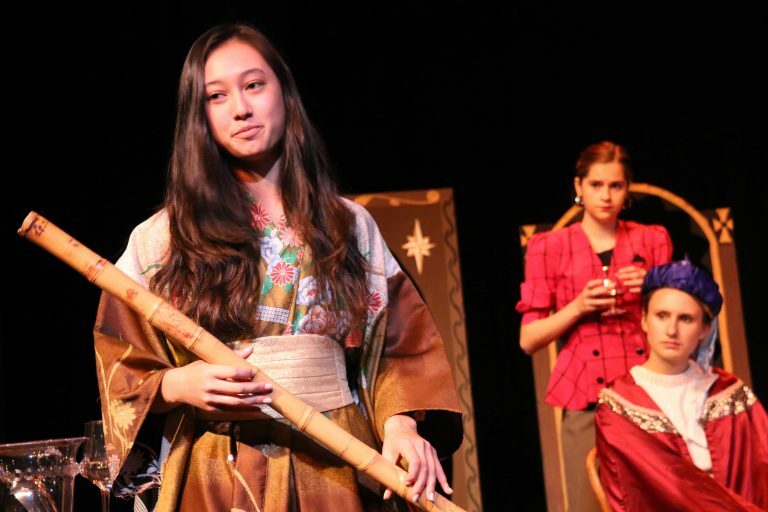 Elizabeth is an aspiring writer and lover of theater, green tea, and fuzzy socks. She loves to curl up with a good book, rock out to old Taylor Swift songs, and eat raspberry sorbet.